On behalf of the Institutional Forum of DUT, it give me great pleasure to extend an invitation to each and every member of the DUT Staff and their families to join us at our DUT Annual Dinner Dance. 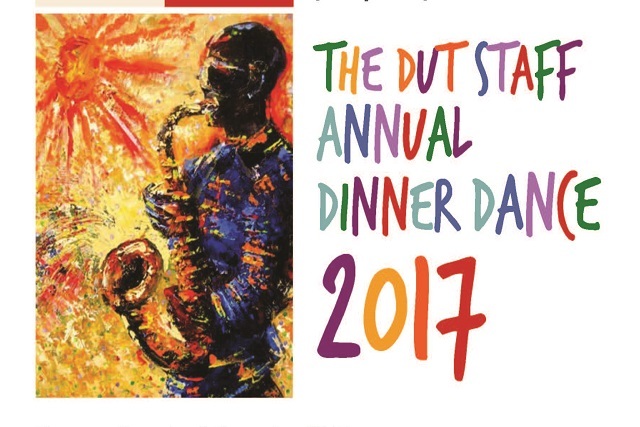 The DUT Dinner Dance is an annual event organized by the University’s Institutional Forum for the DUT Staff and their Families. The DUT Dinner Dance is one of the most exciting and fun filled Social Events on the DUT Calendar since 2005. This year’s event is going to be as exciting as our previous years. The Tickets are selling out very fast. Staff are kindly requested to please book their tickets on or before 24 November 2017 to avoid disappointment.